Nowadays, translations are being more and more important in the business world because many negotiations are between companies that are in different countries with different languages. This is why many worldwide people look for a professional translation in different languages. Years ago, international business was difficult because both companies had to have a translator to reach an understanding between them; this was expensive for both companies since they would have to pay full wages for a translation that would only take a couple hours. This business changed a lot with internet; now, companies only pay for the translation service that is sent by e-mail and don’t have to hire a translator for a business transaction. If you are looking in Mexico, you will find many people that offer a Spanish translation service. They can be classified into two groups: translation companies and independent translators. Independent translators are more difficult to find because most don’t have a webpage, they only have a phone and e-mail to make work contacts. However, independent translators usually have better options when you look for example someone that can translate spanish to english; their only problem is the time, if they have a lot of work, the translation will be finished in a day, which is bad for business that need the translation in a shorter time. 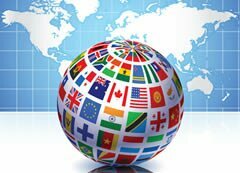 Translation companies are easier to find because each one of them has their own webpage, e-mail and many translators at their service. They have many options of translation, and keep convenient time limits; they offer a finished work in an hour but most of the times this kind of service is more expensive. Many people hire companies only for texts that are extremely urgent. You shouldn’t focus on prices when you look for a translation though. All translators have a standard price due to the intense price competition in this growing market. Why do I have to hire a translator? People need this kind of service when they need to translate an idea from one language to another; but the only person that can do it is a translator. Many people think that to get a translation software means to get a good translation; this however, is a lie; there isn’t any software that can solve all the problems that comes with a translations between two languages and all this kind of software do is make a literal translation. When a good translator makes a good work the text looks very different, not like a literal translation, but it has the same meaning. Good translators rewrite the texts with his/her own words keeping the meaning of the original text. One advice that you have to consider is that you don’t have to choose a translator for their prices; you have to choose any of them because they offer a good service and have a good level (near-native or native) of translation in both languages.